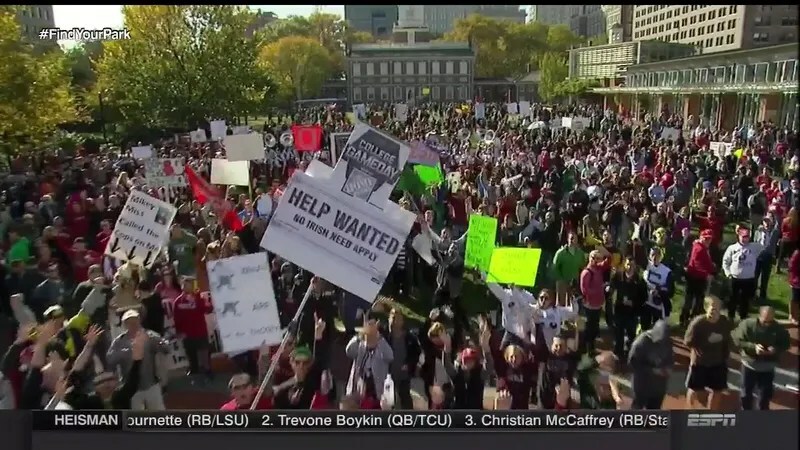 ESPN College Game Day Arrives In Philadelphia. I was an undergrad at Temple mid to late 70’s. We had a great Football team back then. Almost went to the Liberty Bowl if we would have beat Cincinnati one year. There was the Garden State Bowl in 1979. Two trips to Japan to play Grambling and Boston College. There wasn’t any cable or Internet back then. Times have definitely changed. I would have been there on Market Street today. Whoot, Whoot! 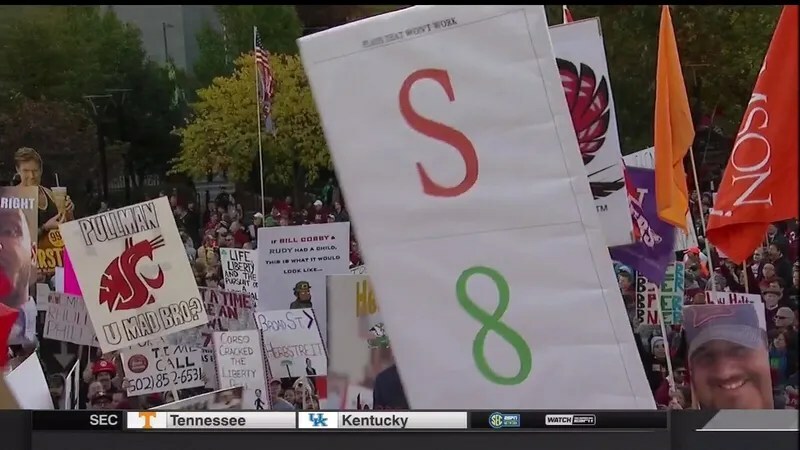 Looks like Chip Kelly’s gameday play card made it, S8. 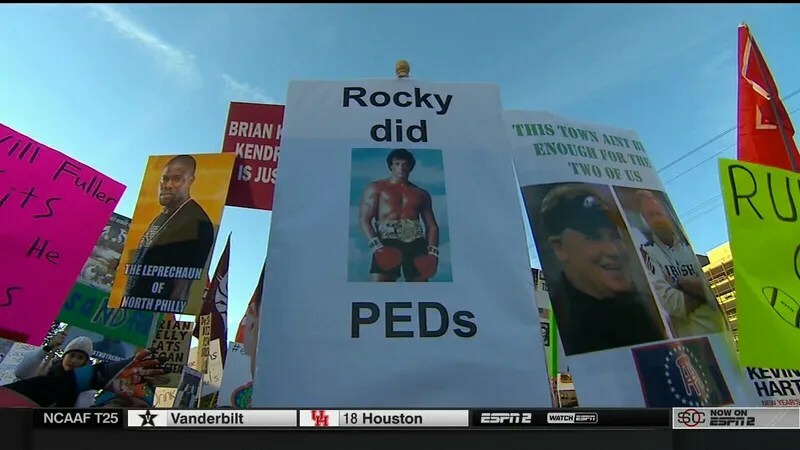 These signs are a marketing genius. 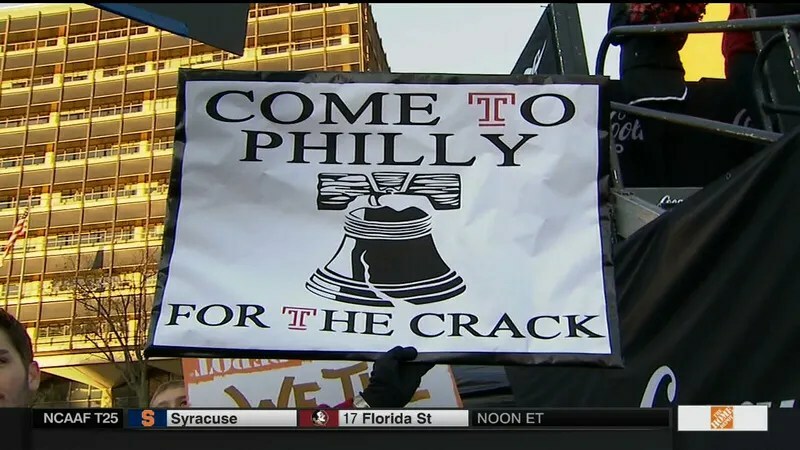 Hire Temple Grads. Go Temple Owls Beat Notre Dame. I am a proud alumni.